Quick post today loves! Wore this outfit a couple days ago. I love a great cobalt blue, don't you? This turtleneck was in an instant fave for me. I was glad that FL had some cold temps for a few days because I was able to get some use out of my turtlenecks and knits. Now the weather is back in the high 70's. That means "bye bye tights and sweaters," and "hello bare legs and tees!" **Don't forget to enter the Strong Point Enterprises $25 giveaway! It ends TOMORROW, February 17th at 7 PM EST!! Great outfit for the office. I miss being able to wear outfits like this. This whole uniform thing is starting to get veerrrrry old ugh... But you look amazing! Can I have some of that sunshine besides your necklace and boots, well darn it the whole outfit cos you look so fab!! Cobalt is my happy color! It looks gorgeous on you! And I LOVE that necklace! Love those boots! Lovely hair! Love that cobalt blue and those booties are perfection! Simply stunning! I was eyeing up these skirts at F21 the other day! Great minds! I would have never thought to pair blue with brown, but I'm totally in love with your look! I just bought my first true blue blazer, and you've inspired me to try it out with a punch of brown! bam! love that cobalt blue with the striped skirt, and that vintage coach bag is just perfection! Wow, I love this outfit on you! The color combo is perfect! Love the boots too! Such a stunning outfit! I adore your choice of accessories! 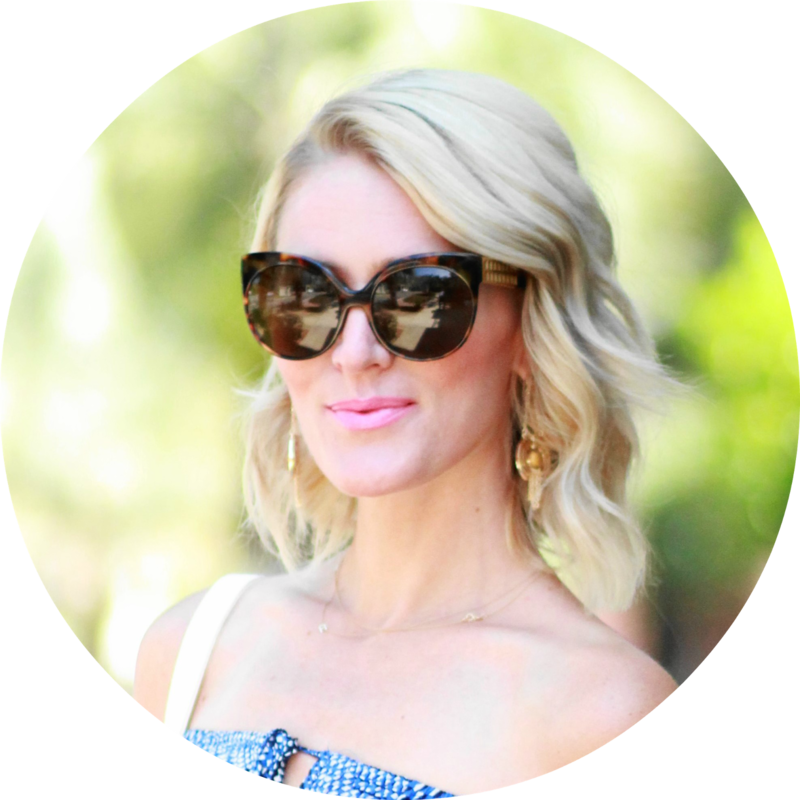 that cobalt hue is to die for! i love cobalt and sienna together..so striking! as are you!! 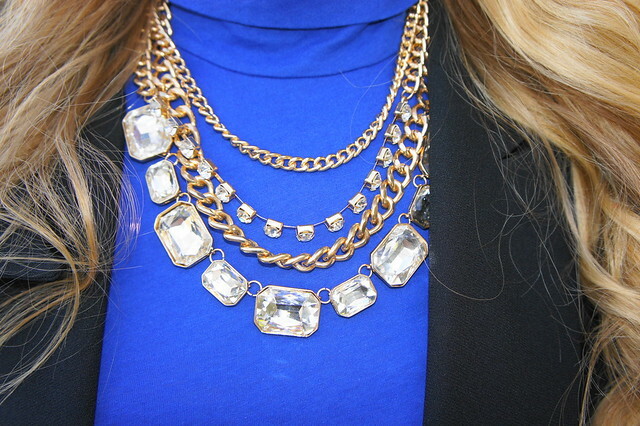 I love the bright pop of cobalt and the layered necklaces. I REALLY like this ensemble! I would never have paired these pieces together but it SO WORKS! Great look!